This is one of our favorite nights of the year. The kids loved the gingerbread house night as usual. 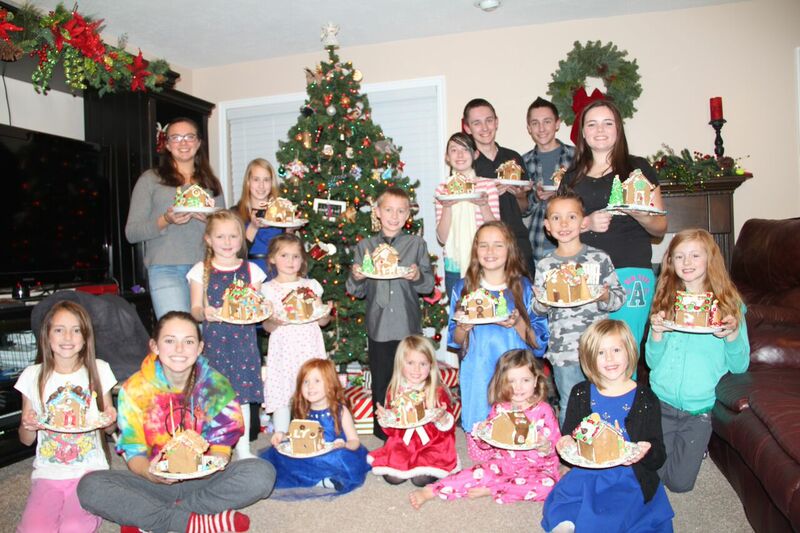 My mom is amazing to bake all of these gingerbread houses. I think most of Chloe's candy ends up in her mouth. Keaton's house was quite creative! Maddie made a cute beach house. 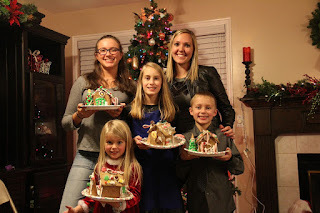 All the gingerbread house makers.